Saturday, August 13 at 7:00 p.m.
Squam Lakes Natural Science Center is joining with Holderness School to host a special showing of the documentary film Most Likely to Succeed (mltsfilm.org). Dr. Tony Wagner, of Harvard University's Innovation Lab, will share this compelling 90-minute film focused on inspiring and empowering communities to take action against the flaws in their American school systems. Dr. Wagner will take part in a panel discussion with New Hampshire's Department of Education Commissioner Virginia Barry following the screening. Tony Wagner currently serves as an Expert In Residence at Harvard University's new Innovation Lab and as a Senior Research Fellow at the Learning Policy Institute, founded by Linda Darling-Hammond in 2015. Prior to these appointments, Tony was the first Innovation Education Fellow at the Technology & Entrepreneurship Center at Harvard, and the founder and co-director of the Change Leadership Group at the Harvard Graduate School of Education for more than a decade. His previous work experience includes twelve years as a high school teacher, K-8 principal, university professor in teacher education, and founding executive director of Educators for Social Responsibility. Tony is a frequent speaker at national and international conferences and a widely published author. His work includes numerous articles and six books. Tony's latest, Most Likely To Succeed: Preparing Our Kids for The Innovation Era, co-authored by Ted Dintersmith, was just published by Scribner. Creating Innovators: The Making of Young People Who Will Change The World, was published by Scribner in 2012 to rave reviews and has been translated into 12 languages. His 2008 book, The Global Achievement Gap continues to be an international best seller, with a Second Edition recently released. Tony served as Strategic Education Advisor for Most Likely to Succeed, which had its world premiere at the 2015 Sundance Film Festival. He also collaborated with noted filmmaker Robert Compton to create a 60-minute documentary, The Finland Phenomenon: Inside The World's Most Surprising School System in 2010. Tony earned an M.A.T. and an Ed.D. at the Harvard University Graduate School of Education. This book by Tony Wagner and Ted Dintersmith served as the basis for the film and will be available for purchase for $27. "Bracing, revelatory, and always backed up with hard facts, Most Likely to Succeed should top the reading list for any teacher, parent, citizen, or high school or college student. Wagner and Dintersmith's incisive prose slices through the politics to show-without pointing fingers-how schools can refocus to prepare our children for the jobs of the future." There's no such thing as bad weather at Blue Heron School at Squam Lakes Natural Science Center. 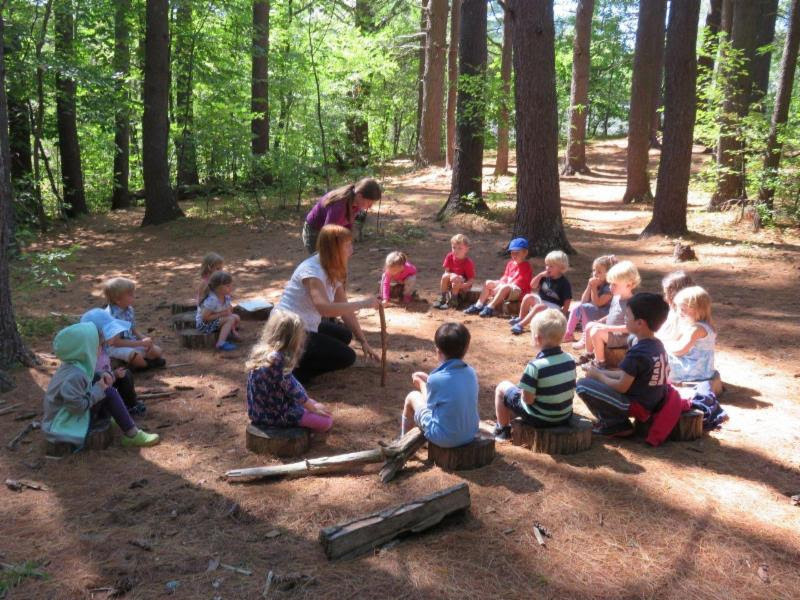 Preschool and kindergarten children are in a mixed age classroom where Montessori philosophy is integrated with the nature-based approach to early childhood education. Children dress for the weather and go outdoors every day. The classroom is a prepared environment - shelves are stocked with Montessori materials for every ability level and area of interest, and children bring discoveries from the outdoors inside for further study. Blue Heron School operates September to June, Monday through Friday, from 8:30 a.m. to 1:00 p.m. or 8:30 a.m. to 3:30 p.m. Learn more at nhnature.org.